Bay Therm Insulation has the right people, products and technologies to ensure that your commercial insulation project gets done on time, on budget and safely. We understand that efficiency plays an important part in your investment in insulating your commercial property or new construction project. 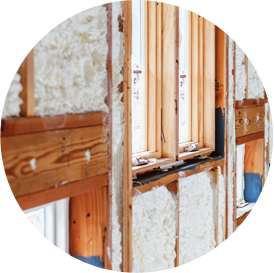 Our insulation experts have the building science knowledge to ensure that your insulation provides a positive and lasting effect on the efficiency of your building. We have years of experience insulating commercial buildings for business owners and new construction projects for builders throughout the northeast Wisconsin area. If you have a commercial building or a new construction project and need an insulation contractor, contact Bay Therm Insulation today!